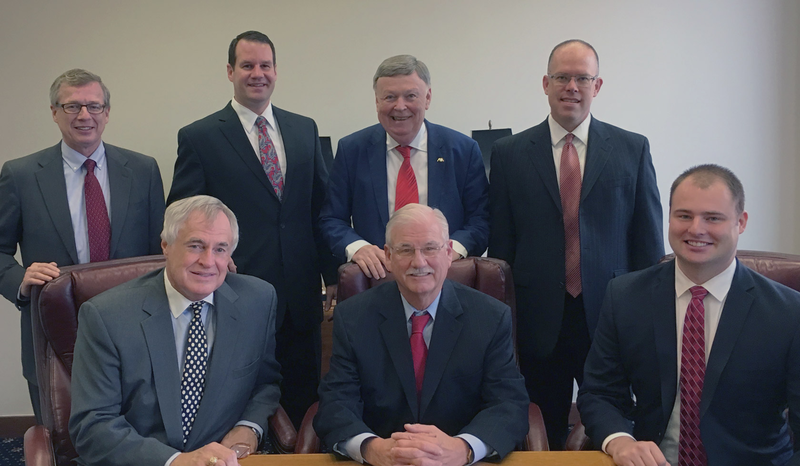 For over 75 years, individuals and businesses in Des Moines and throughout Iowa have trusted the attorneys of Hansen, McClintock & Riley for quality legal representation and personal client service. We are a firm of highly regarded attorneys that offers the level of representation often associated with a larger firm, and the personal, accessible service only a boutique firm can provide. Our firm's practice areas range from general civil trial practice (including trial practice, insurance and workers' compensation defense) to professional licensing, real estate, divorce and family law. We are respected as effective trial lawyers and regularly represent clients in state and federal court as well as before administrative agencies. We also have a successful appellate practice. We take pride in our ethical approach to our client's problems and securing solutions through the quality of our legal services and by outworking our opponents. When you retain Hansen, McClintock & Riley as your legal representative, your issue will he handled by an experienced professional who is assisted by experienced support staff. The lawyers at Hansen, McClintock & Riley offer a wide range of legal services. To learn more about the scope of our practice, please visit our Practice Area Overview page. To arrange a free consultation about your legal concern, please do not hesitate to contact us by e-mail or by calling 515-244-2141.